You may receive hundreds of emails in your inbox every day from different sources. Due to some annoying emails (especially those cheap offers, spam and promotional messages), it become hard to find important emails. And if your account is associated with Facebook, you'll get all of its notifications in your inbox which have nothing to do there. 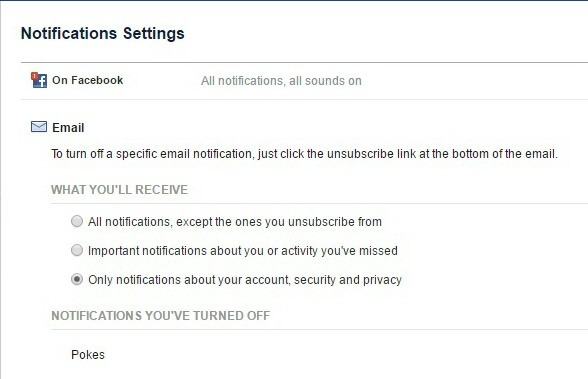 By default, Facebook will send you all types notifications via email. For example, you'll get an email message when someone will like your post, comment on it, follow you or send you a friend request. On the other hand, you'll be notified with all group activities when your friends will post new content or when they'll reply to your comment. 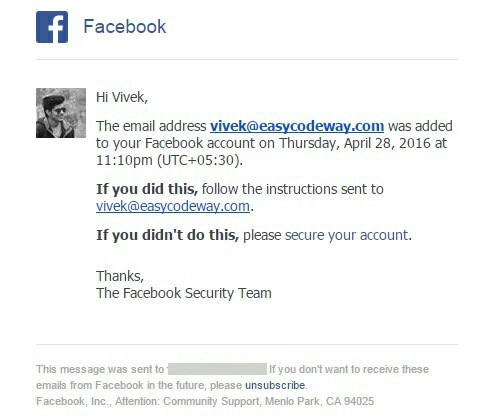 Apart from this, Facebook also send login alerts and other account security & privacy related emails. It's a tedious task to select, filter out and delete multiple items one by one. Most of the time, I was busy in removing all those useless mails. Doing this, you may also delete some of your important business messages by mistake. 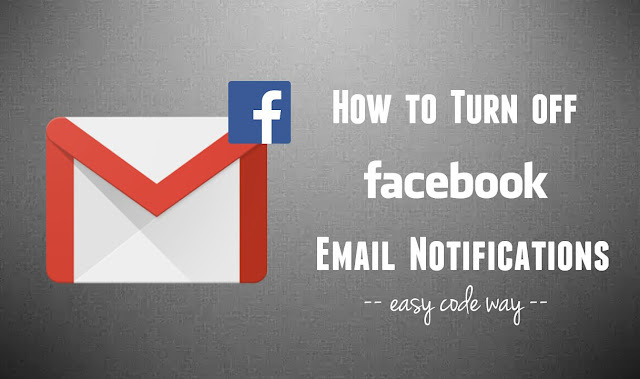 Now it's time to say goodbye to all your Facebook email notifications as in this tutorial, I will guide you how to turn them off permanently. It will be a great relief for you and your inbox will look more clean and organized. First of all, login to your Facebook account and click drop-down arrow icon at the top-right corner of the screen (the same button from where you logout the account). From the menu list, click "Settings" option. Now move to "Notifications" tab. After thus, click "Edit" link next to the "Email" option. Under "What you'll receive" section, you'll find three options. Select "Only notifications about your account, security and privacy" option and you've done it. From the same page, you can also manage other notifications for Facebook itself, Google Chrome's push notifications and mobile text messages. After this, you'll not receive those annoying emails in your inbox anymore. Note that, Facebook may send you account security and privacy notifications occasionally. As those messages are important, so you don't need to worry about them. At least, email frequency will be decreased. However, you can disable login email alerts. To do that, again go to the settings page and move to the "Security" tab. Now click the edit link next to the "Login alerts" section. After this, select "Don't get email alerts" option under Email section and finally tap "Save changes" button to confirm. 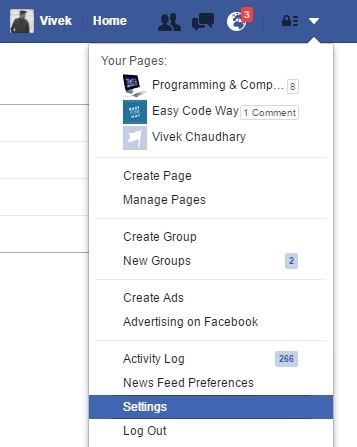 You can also block email notifications for individual Facebook group. To do so, first select "All notifications, except the ones you unsubscribe from" option for email notifications and then open the group. Now click "Notifications" button as shown in below picture. 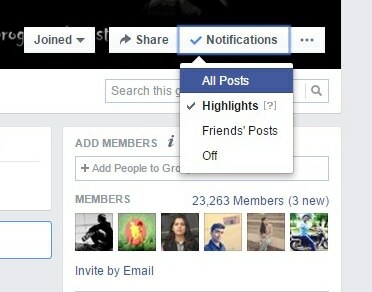 From the drop-down menu, you can either change it to "Friends posts" only or complete turn them off by selecting "off" option. Apart from this, you can leave all such groups which are no longer in use and create unnecessary nuisance. Using this method, you can unsubscribe specific email notifications manually. To do so, first login to your email account (such as Google or Yahoo) and check its inbox. Here find the email notification from your Facebook account and open it. Simply click "unsubscribe" link here and follow on-screen instructions. This will automatically block your Facebook email notifications instantly. Do this for other type of emails also and you've done it. 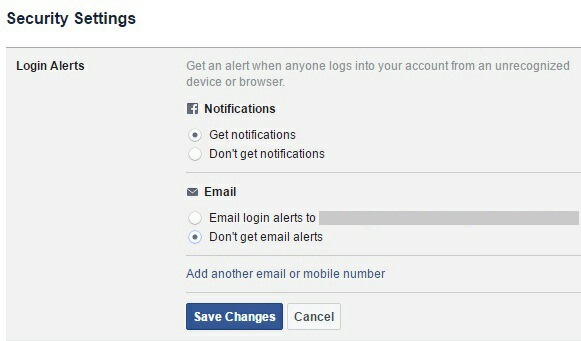 In this way, you can easily turn off all email notifications coming from your Facebook account. Both these methods work perfectly on desktop and mobile platform. If you're facing any problem, please let me know in below comment box. Stay tuned for more interesting tutorials.